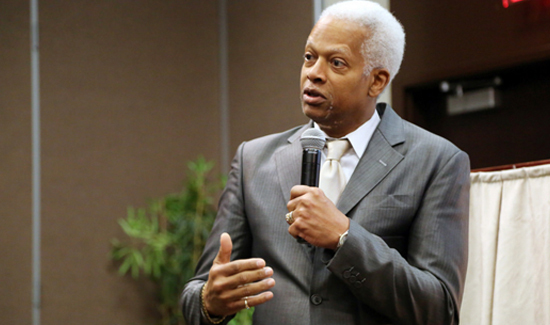 Rep. Hank Johnson, D-Ga., serves on the House Judiciary Committee and has proposed legislation that would allow the federal government to charge police officers with committing murder and manslaughter. A second bill Johnson introduced would encourage law enforcement agencies to appoint a special prosecutor to investigate whenever a police officer kills someone in the line of duty. Prosecutors need more tools to hold law enforcement officers accountable when they violate someone’s civil rights through excessive force, a Georgia congressman said this week about a Tribune-Review investigation. Rep. Hank Johnson, a member of the House Judiciary Committee, said he has proposed two bills: one allowing federal prosecutors to charge officers with murder and manslaughter and another that would encourage local authorities to appoint independent prosecutors whenever police kill someone in the line of duty. Among the reasons cited by prosecutors and legal experts were an 1866 law and a 1945 Supreme Court ruling that require prosecutors to show officers “willfully” violated someone’s civil rights. Other officials and legal experts also have called for changes to federal law since the Trib reported its findings. The head of the nation’s largest police union defended the current law, however, saying officers have a difficult job and need extra protection. Law enforcement officers never have been under more scrutiny, which has hurt recruiting and morale, said Jim Pasco, executive director of the national Fraternal Order of Police in Washington. “From our perspective, you find that you’ve got a law that was passed by Congress and you don’t feel that you’re convicting enough people with that law, so that means you should lower the bar for prosecution?” Pasco said. This is the same idiot that asked a Navy admiral if navy ship could turn over an island. He is an embrassment to my state and our nation!